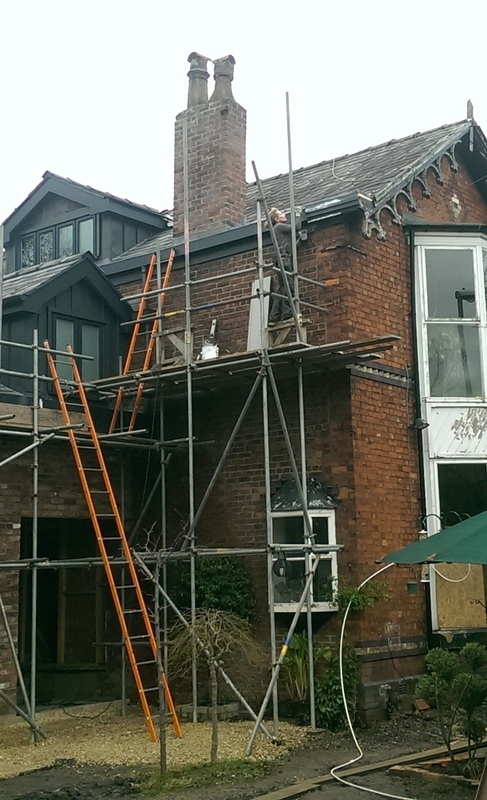 #Do Up Diary 54 Jobs, jobs, jobs, but just one more day of scaffolding! This feels like a genuine milestone. After several months of a spider’s web of scaffolding all over the newly built and emerging ‘West Wing’ (cause it’s the bit of the house which points due west), tomorrow is the day it all finally comes down. There’s been so much to do this week, I can’t even tell you how frantic it’s been and all with Mr M not allowed to look up or work cause he’s trapped a nerve in his neck, the poor buggar. He’s been mostly passing me stuff, barking orders and quite grumpy/frustrated as he’s a doer not a watcher. I’m tired out but so excited for tomorrow when we see what the new bit of our home actually looks like without a hundred steel poles in front of it. 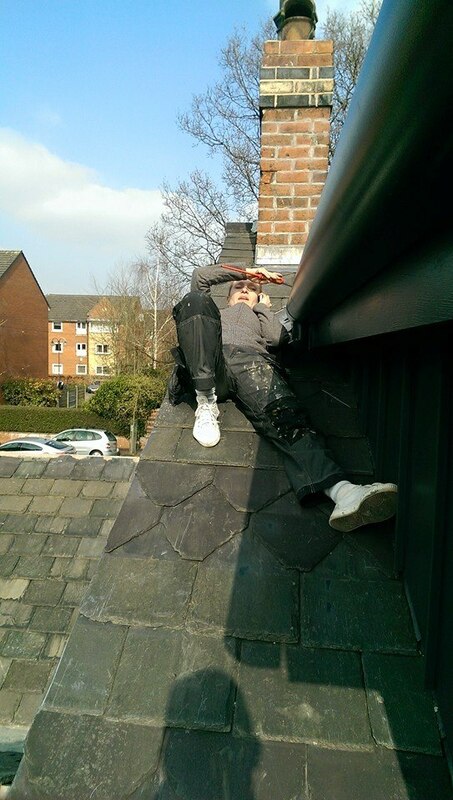 Taking down leaky guttering and removing all the sealant to re-seal and ensure no water escape. 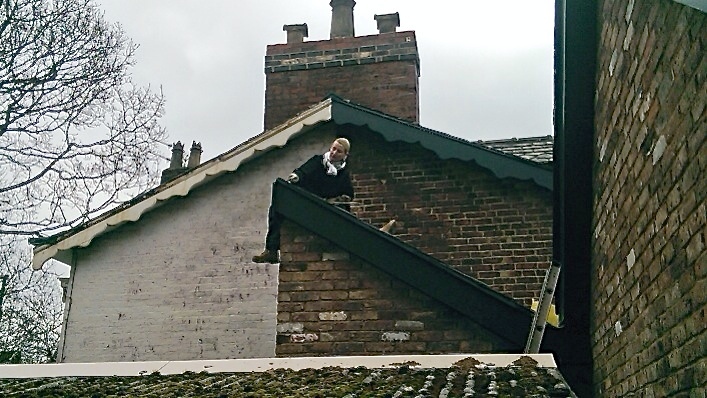 I’ve never done gutters before but have learned this is not rocket science, just takes, with powder coated aluminium systems, care and time to ensure it’s done properly. Can’t be rushed or botched. Measuring and notching the angled front soffits around the vertical seam cladding. Mind mash this one, all angles and precise measurements. Made my head hurt but we got all six of them spot one, very proud. Then filling and painting around notches. Cleaning and sealing all around the front box gutter and painting it. Again. One last picture taken with the scaffold up, roll on tomorrow!!!! Do Up Diary #53 The ColorCoat Urban goes on plus lots of little jobs! Do Up Diary #55: The finished cladding, the huge opening & the scaffold comes down!